"Learning people skills will change your life…you will have more confidence, control, and charisma in all of your interactions." Captivate is a collection of people skills you never learned in school. It outlines straightforward, but persuasive tricks you can adopt to solve people problems. Use these tricks to improve your career, your relationships, and even increase your income (people with great people skills make an average of $29,000 more per year). Coaches and managers will find the more advanced techniques especially helpful for reading and motivating clients and employees. 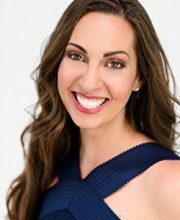 As an awkward kid growing up, author Vanessa Van Edwards started obsessively studying the science of human behavior to see if she could win friends. Now she leads projects like analyzing TED Talks for number of hand gestures in her research lab. They found that the more hand gestures you use, the more trust you build with others—Temple Grandin, Simon Sinek, and Jane McGonigal used over 600 gestures in only 18 minutes. Captivate is sprinkled with fun facts like this and quirky anecdotes Van Edwards has collected through years of purposely practicing how to best engage others. "Having above average people skills is not about being perfect. It’s not about never making a social blunder again. Rather, people who have great interpersonal intelligence leverage their vulnerability." You can leverage your vulnerability in interactions simply by diverting from expected scripts. Say how you really feel to see if you can start more meaningful conversations. By being open with others and sharing your uniqueness with them, you invite others to be open with you. And if you react to someone’s openness with curiosity, understanding, and appreciation, that’s when you build real connection. Being genuine and attentive is increasingly an asset as the working world becomes more human-centered. This is encouraging for those who pride themselves on these qualities, including many introverts. While much of the advice on people skills suggests you try to come across as more extroverted, Van Edwards shows that the most valuable connections come from when you reveal your true self. "Unique questions, unexpected stories, and uncommon occurrences keep us alert in conversation… being different wakes people up." Let your uniqueness shine through the words you use, the questions you ask, and the stories you tell. Since we get a dopamine spike from novel experiences, this will make you more memorable. The more unique details you communicate about yourself, the more chance you have of finding a meaningful common thread with someone. And the more common threads, the more you and the other person become attuned. Pick some favorite conversational sparks to move beyond small talk. A question like “What’s your story?” or asking for advice gets people talking about their values, hopes, and fascinations, and are more likely to reveal aspects that are important to both of you. Spice up your job title. Even if just for networking, give yourself a fun title like “Professional People Watcher” (Van Edwards’ tagline). Put an offbeat quotation in your email signature. Make it one you’ve written, maybe a favorite tweet. Serve people unique food and drinks. Like lemonade and cake pops instead of the traditional coffee and donuts. "Knowing someone’s personality gives a tremendous boost to your persuasive powers." Use introduction periods with new friends, new employees, and new colleagues as a chance to ask people directly about their personality traits. It gives a purpose to your conversational spark questions, which can lead to a positive rapport. Openness – How they approach new ideas. Suggesting many projects at once might overwhelm someone with low openness. Conscientiousness – How they get things done. Long, detailed emails might intimidate someone who has low conscientiousness. Extroversion – Their approach to interacting with people. Someone with low extraversion may find working in a team overwhelming. Agreeableness – How they cooperate with others. Someone with high agreeableness may accept all suggested projects, but might not know where to start. Neuroticism – How stable their mood is. Frequent check-ins from a colleague may be frustrating to someone with medium to low neuroticism. When deciphering someone’s personality, also focus on their primary value. We all have a need that’s stronger than others during professional, social, and romantic interactions. My (and Van Edwards’) primary professional value is information. We’re always reading as much as we can and then looking to share what we learn. Knowing someone’s primary value is the key to pleasing them. Love – Needs to feel accepted, liked by others. Make them feel liked by including them. Service – Needs to feel supported and cared for. Do a favor for them. Status – Needs to be praised and respected by others. Give them credit. Money – Needs to feel financially secure. Give them bonuses. Goods – Needs to collect things. Make sure their workspace is comfortable. Information – Needs to be in the know and give advice. Keep them in the loop and ask for their opinion. Words of affirmation – Express care through the written word. Write check-in emails. Gifts – Express care through small gifts. Thank you gifts, birthday gifts, etc. Physical touch – Express care through touch. Handshakes, arm pats, high fives. Acts of service – Express care by doing things for others. Help with task completion. Quality time – Express care by being in the presence of the other. Lunches or drinks, coming in early or staying late. Eventually, you may learn to speed-read new acquaintances. This involves watching for “microexpressions”, brief, involuntary facial expressions from immediate emotional reaction. For example, asking an introvert “Do you know anyone else here?” at an event may result in a flash of fear. Or you may notice flashes of frustration when delivering a highly detailed presentation to a client who has low conscientiousness. The belief that it’s your responsibility to create engaging interactions and relationships is the first step in connecting more. When bogged down by the complexity of social situations, remember that you can control whether you’re captivating or not. Concentrate on celebrating yours and others’ unique personalities and watch as many of your relationships improve and deepen.